PLEASE SCROLL DOWN TO SEE OUR UPCOMING LITTERS FOR 2016! Call or email today for an appointment to come visit our kennels to find some of the nicest German shepherd puppies Colorado has to offer, and pick out a puppy that is right for you. Our puppies come with a three year health guarantee, AKC registration papers (full registration), microchip and puppy vaccines. At Von Rief German Shepherds we also pledge to you that we will conduct business with the utmost integrity and respect for you, our clients and future friends. 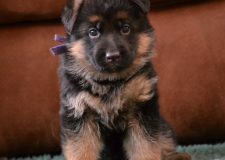 We strive to breed German shepherd puppies and dogs to the highest standards and provide you with puppies and young adults from exceptional parents that will provide you with happiness for years to come! 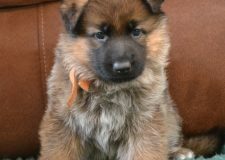 Von Rief German Shepherds reserves the right to first pick of a litter for the future of our breeding program. 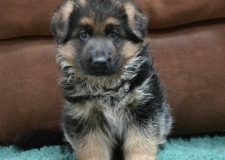 Contact us today if you are interested in some exceptional German shepherd puppies Colorado has to offer at Von Rief German Shepherds! Vac-Vagvolgyi Don and Kaluna vom Kapellenberg!